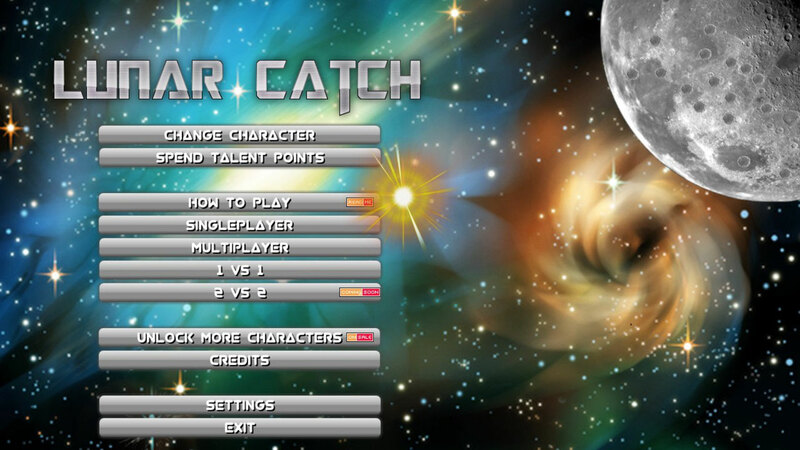 We are happy to announce that we are working on a new game called "Lunar Catch". It is an Action/Ball and paddle game inspired by the classical game "Pong" but it has some new twists like multiple characters with unique abilities and talents. You may already know some of them like the evil Moon Raccoon or the brave Corgi General from our past game "Moon Raccoon". There are currently three game modes planned: Singleplayer, Multiplayer (1vs1) and Co-op Multiplayer (2vs2). But not all features are fleshed out yet, and we are still in an early pre-alpha stage. If you are interested in alpha- or betatesting our new game you can sign the form on this page and help us with your feedback. More details can be found on the gamepage here.